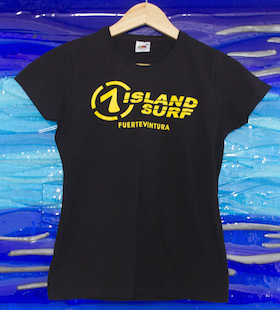 Love 7 Island Surf, then you’ll love our gear. We carry stock in most colours and sizes, but you can always check availability and reserve an item. Just drop us a line with your requirements. 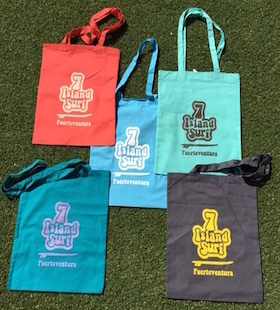 Our Beach bags are ideal to take anywhere. They are available in a range of colours - Turquoise, Neutral, Coral, Blue, Mint and Grey. Our girlie top is one of our items that goes the quickest. Available in 2 Colours White/Fucsia and Grey/Blue with sizes ranging from S to XL. 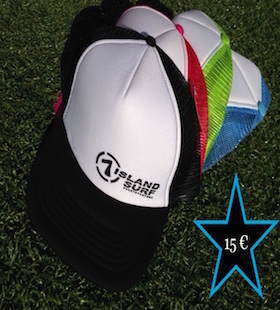 Caps ideal to wear during the day on the beach or out. 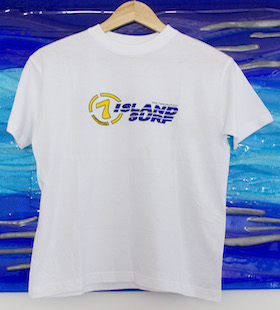 From our 2014 collection, this t-shirt was created by Tom himself. Available is sizes S to XL. 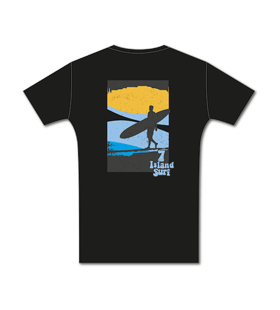 This t-shirth has been a popular one for many years. Sizes range from S to XL and are a loose fit. 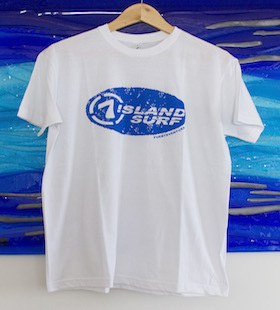 A t-shirts design from our 7 Island Surf competition. Available from S to XL. 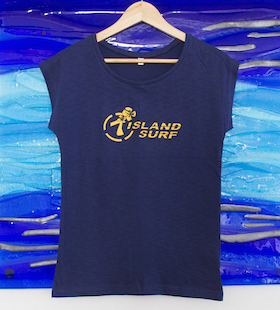 From our 2015 collection, this casual t-shirt can be worn anytime of the day ! Available from S to XL. 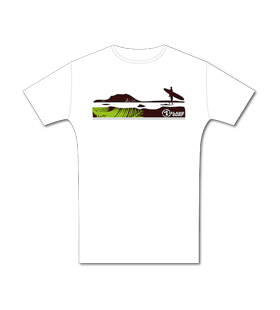 From our 2014 collection, this T-shirt was a favourite to many. 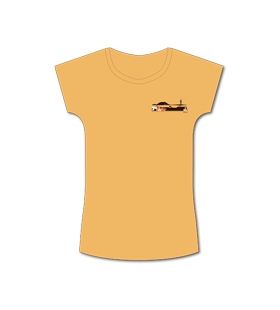 Not many sizes left, so be quick to order yours. Great keepsake for your holiday in Fuerte. Having Lobos always near. Sizes available from S to XXL. If you like a loose fit, order a size up as they are on the smaller side. Our newest logo designed by El Perro Atomico. T-shirt available is sizes S to XXL. They are tight fit so if you prefer loose fit, order a size up. Beautiful design of soul surfer hanging ten on his board. Available in sizes S to XXL. These t-shirts are a tight fit so for loose fit, order a size up. An elegant reminder of the beautiful island of Lobos. Sizes available from S to XL. 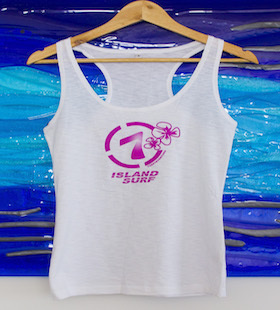 The ladies version of our new Logo shirt. Sizes available from S to XL. 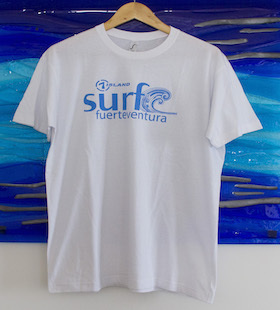 A specially designed shirt from Fuerteventura. A great souvenir to take home. Sizes availabe from S to XL. This is another fab design from El Perro Atomico. 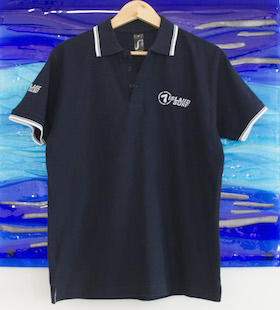 Available in 2 colours and sizes range from S to XL. This print is available in both blue or black and sizes range from S to XXL. Sizes are small so if you like it loose, order a size up ! 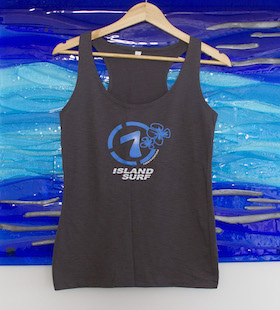 7 Island Surf's new loosely fitted summer vest available in 3 colours with sizes ranging from S to XL. This is a must have in your wardrobe ! 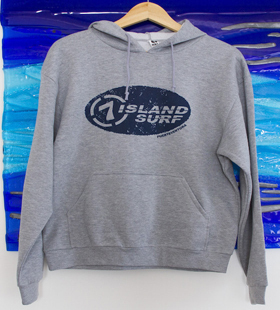 Our comfortable 7 Island Surf hoodie is another classic available from S to XXL. It's one of our all time favourites and never seems to get old. 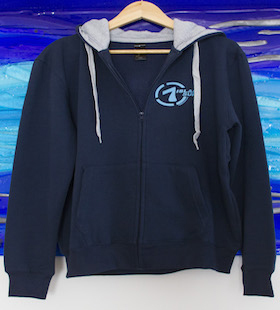 This 7 Island Surf jacket from our 2015 collection is ideal on those cooler mornings ! 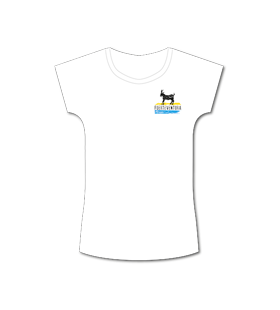 Sizes range from S to XL and other colours are available. The last ones available !!! Check with us on sizes.